Forza Horizon 4 rushed to the PC and Xbox One just in a week. The Playground Games and Microsoft have already boasted impressive game indicators. It turned out to be one of the most successful races of the generation. By October 9, users watched over 4.6 million hours of Forza Horizon 4 broadcasts on Mixer, Twitch, YouTube, and Facebook. Players traveled in virtual England over 822.7 million miles about 1.3 billion kilometers. Gamers have already bought over 4.1 million homes and acquired more than 74.4 million cars. Over 377.7 million roads were discovered. 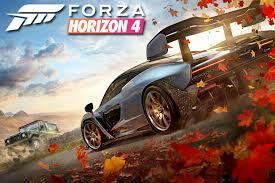 In the foreseeable future, Horizon 4 will be replenished with fresh content. In particular, on October 25, the game will feature tools for creating your own races. Recall that Forza Horizon 4 included in the Xbox Game pass paid subscription. f you have the last one, you won’t have to spend money on a race. And whether or not to pay her time, you can find out from our video review.